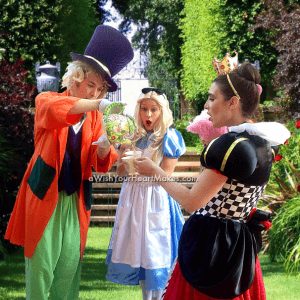 Join Alice for a “Whimsical Wonderland Adventure” and watch the magic unfold as children follow The Mad Hatter in celebration as he leads an “Un-birthday Parade ” to a Tea-riffic tea party! 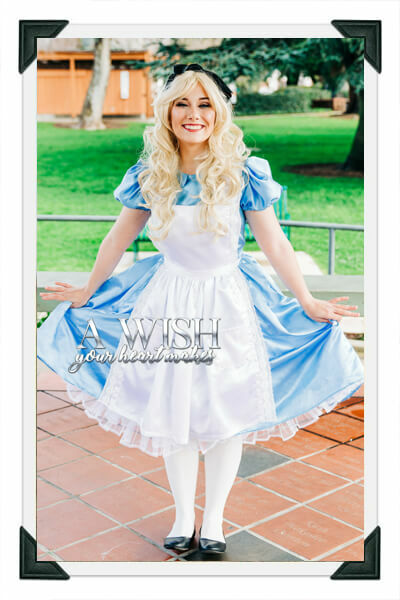 They might even catch a glimpse of The White Rabbit! 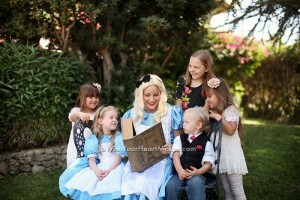 Little ones will adore Alice as she helps them “paint the roses red” play croquet, and curtsey to the Queen of Hearts!